Image: Alison Bell as Audrey from The Letdown.Photo by Daniel Asher Smith. Create NSW has today opened applications for its latest screen Production Finance funding round with measures aimed at increasing the opportunities and participation of parents and carers in the screen sector. The initiatives respond to the October 2018 Raising Films Australia Screen Industry Survey results and the South Australian Film Corporation (SAFC) announcement of initiatives to address the results. 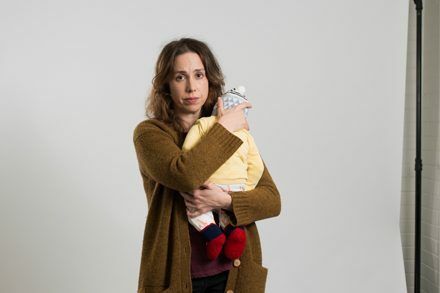 The survey revealed the significant challenges of being a working parent or carer in the screen industry – where a staggering 74% of respondents reported the impact of caring work on their role in the industry as negative. 60% of carers within the industry said they are freelance or self-employed and stated long hours, financial uncertainty and unpredictable work commitments as the major concerns that have a negative impact on their caring responsibilities. A key theme revealed was of women hiding their true caring responsibilities out of fear of the impact on their career and work opportunities. Other experiences reported included people who have left the industry, resulting in a sector-wide loss of knowledge and expertise. To combat this issue, Create NSW has introduced the Screen Momentum Attachment, which ensures that any project receiving over $400,000 in funding engages at least one crew member, key creative or Head of Department who identifies as a recent carer or someone who is currently impacted by care responsibilities. To support the industry to deliver this, Create NSW will create and maintain a Screen Momentum Attachment database of practitioners who are currently or have recently been carers and are ready to work. Create NSW will also participate in the Keeping Your Hand In program, designed to support people that are taking time out or reducing work schedules to be a carer, to keep pace with changes in production methodologies, trends, technology and skills – and stay visible in the industry. Create NSW Acting Director Screen Investment, Engagement and Attraction Sally Regan said, “These results are a reflection of real perceptions in the screen industry and it’s time for us to make a change to better reflect the world we live and work in.